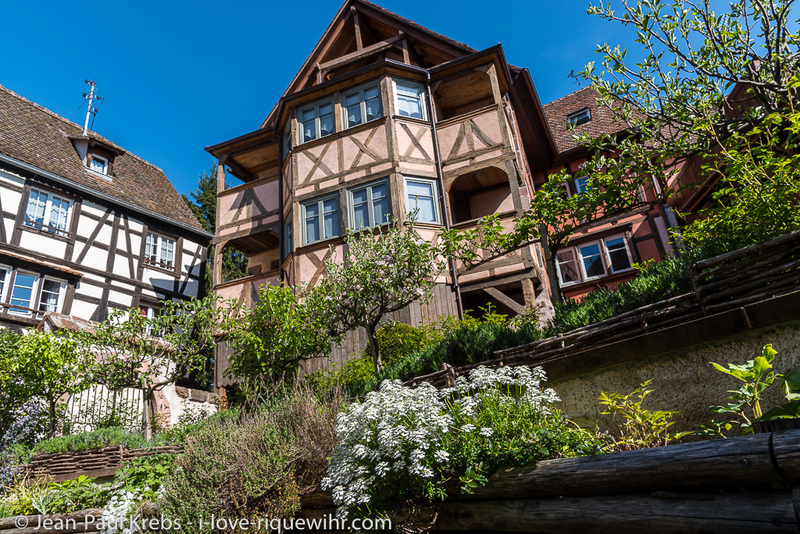 Little Wolf 4 star vacation rental for 2 persons in Riquewihr Alsace. 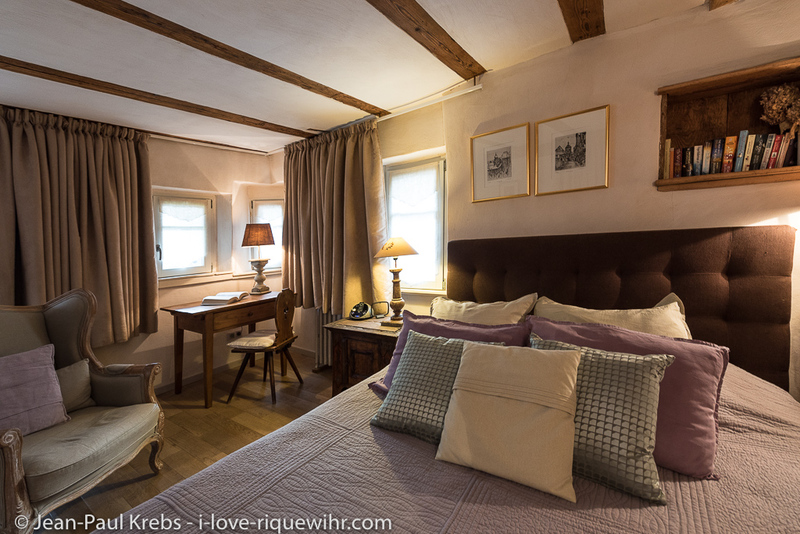 Located on the first floor of our large Renaissance house built on the ramparts (1291) just near the Schœnenbourg vineyard, this lovely apartment for 2 people occupies the site of the medieval householder's lodging. It is easy: Kindly refer to the calendar (see on the upright part of this page), click on the calendar and highlight your nights (Do not highlight the night/day of departure since this would add an extra night to your booking). 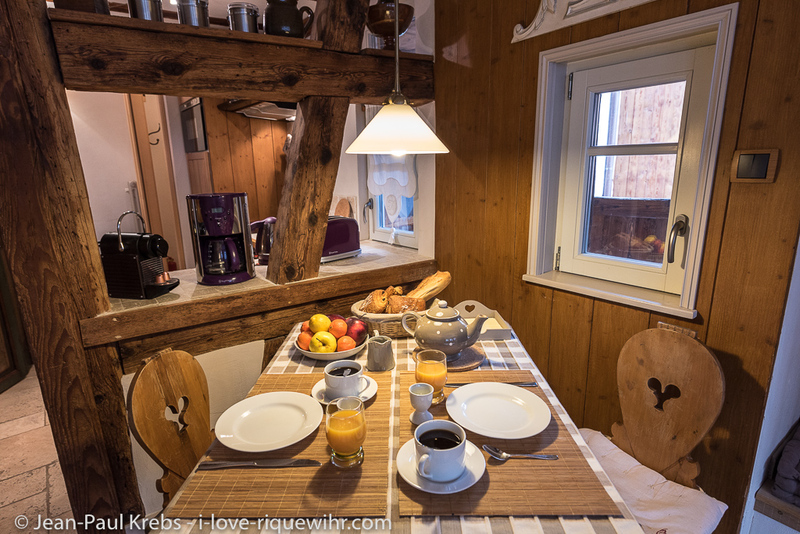 Arrival / departure days are flexible but should not generate any gap of 1-2 nights standing alone on the planning. Click to continue. 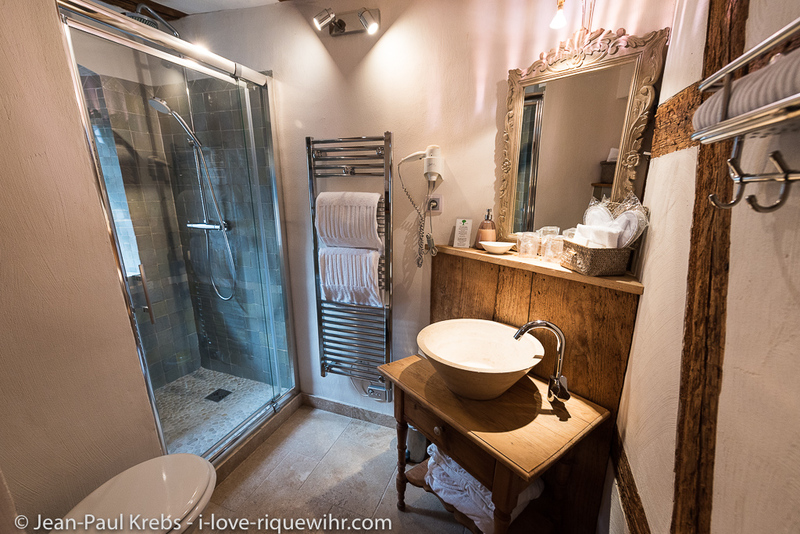 Our booking engine will automatically quote the best rates available. Continue to make your booking. A few steps above the garden, the apartment faces south and west. It is extremely bright, thanks to its glazed living room, built as a winter garden on the first level of the great oriel window (large Alsatian bow window) which adorns the south facade of the building. The small entrance lobby further enhances the privacy of the holiday home, all dressed in shades of braun colors, beige and white. 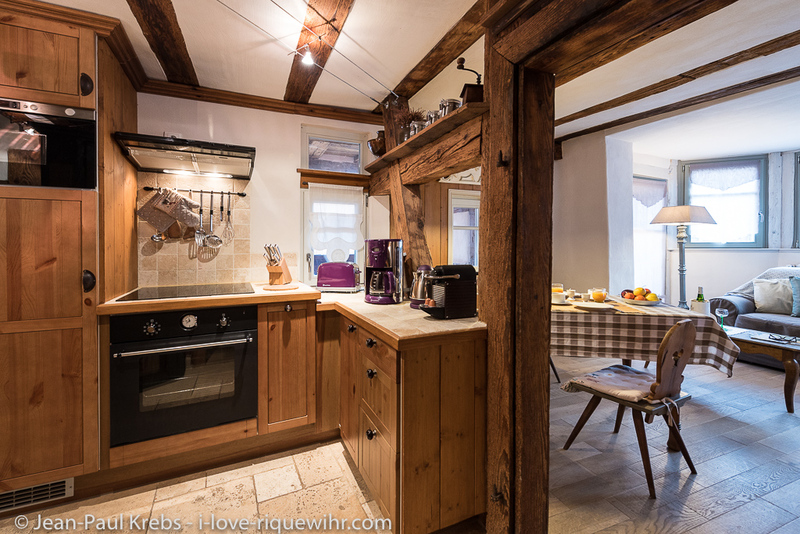 Just behind an old timbered wall opening onto the lounge is the dining area: simply reach out to catch the toast! 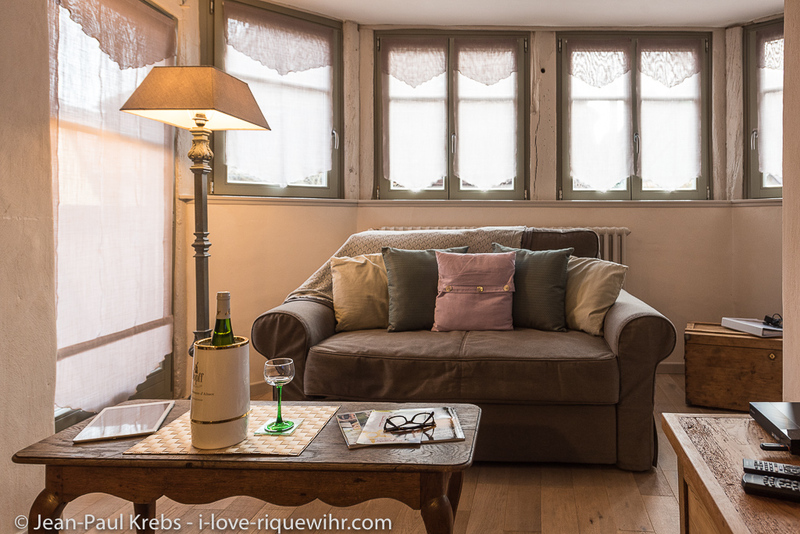 A cosy couch is waiting for you in front of the flat-screen TV. 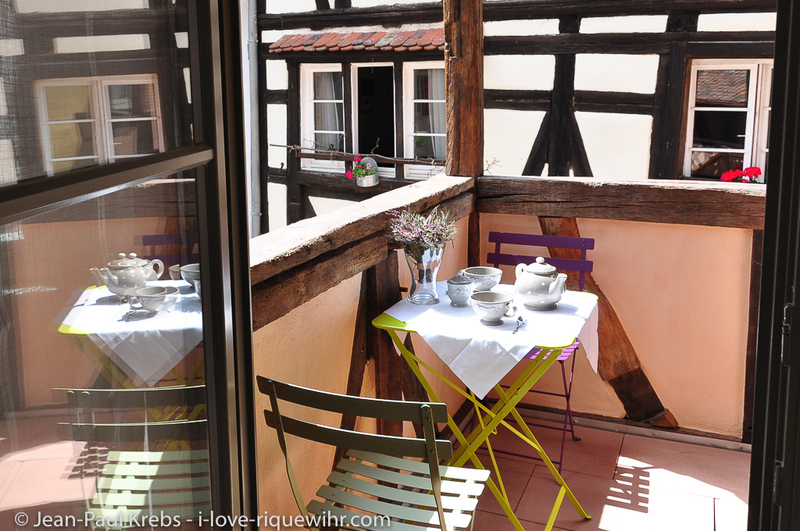 On sunny days, do not hesitate to have breakfast on the small covered balcony, perfect also for a snack outdoors. 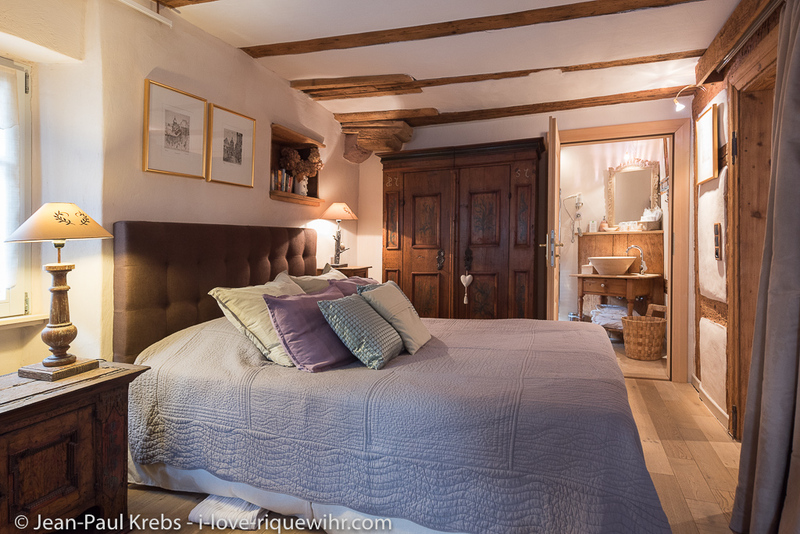 After a busy day of sightseeing and excursions, the bedroom, romantic and luxurious, offers a very comfortable queen size bed (160 x 200 cm) with a beautiful small bathroom en suite. 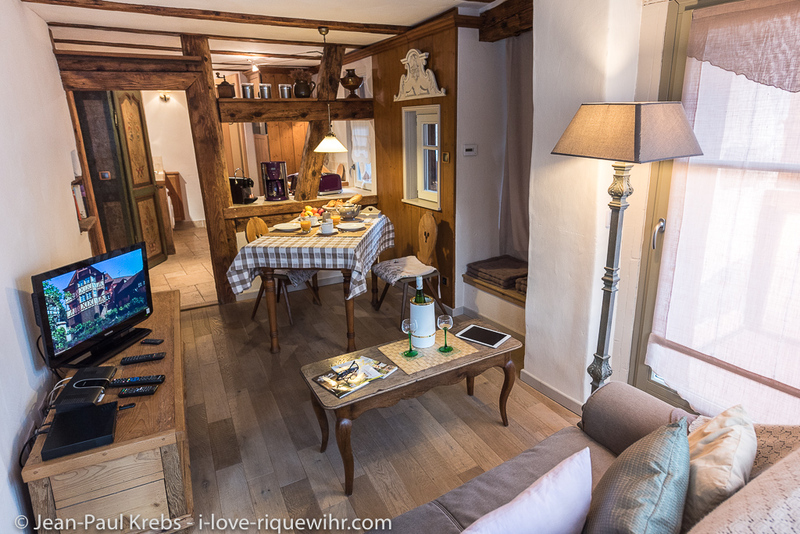 Old timber, wall paneling and solid oak flooring create a warm atmosphere in any season and help make this apartment a comfortable little cocoon.